The month of April has been a disjointed one with Easter and Anzac long weekends back to back. 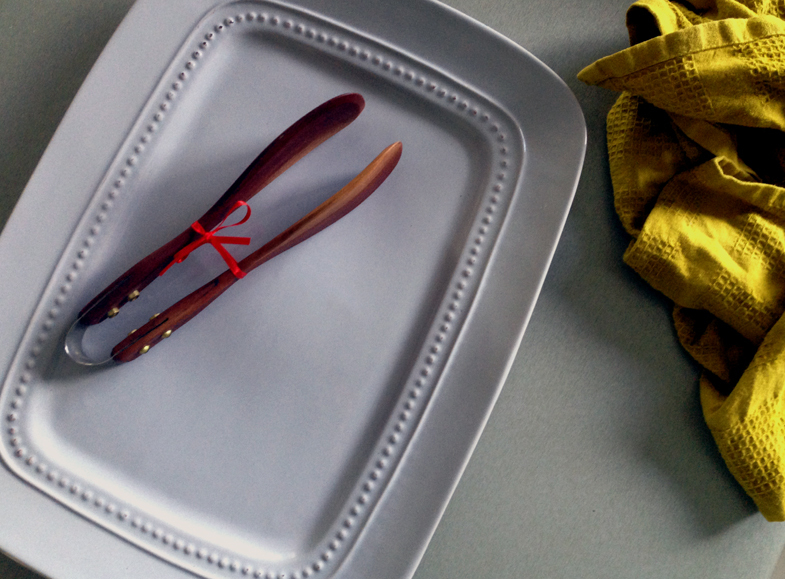 As such my kitchen has been missing me a little but I’ve still got some yummy treats to share with you all for May. 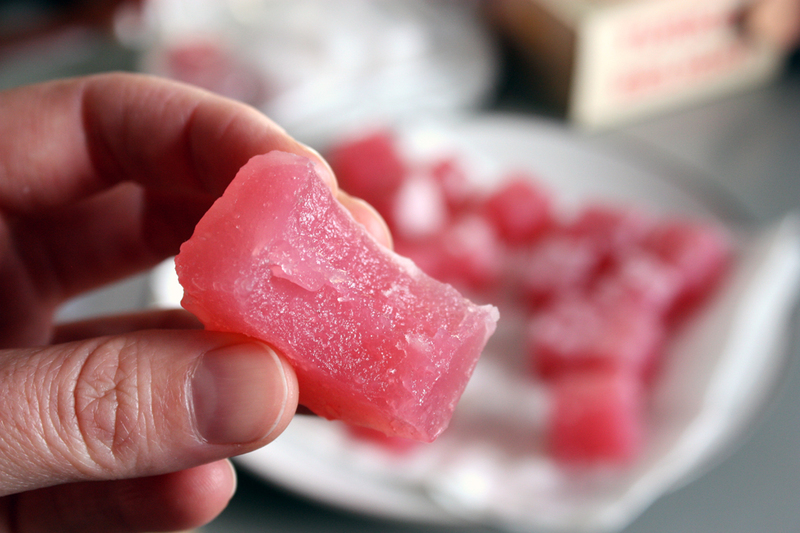 First up in my kitchen is a massive stash of handmade Turkish Delight that I made as part of a dare from Lady Red Specs and as part of our cookbook book club, The Cookbook Guru. There is still room for improvement but it is a much more successful version that my first attempt. Currently I’m trying to dry it so that it will take the cornflour and icing sugar dusting without it melting. Any idea’s for this would be most welcome. 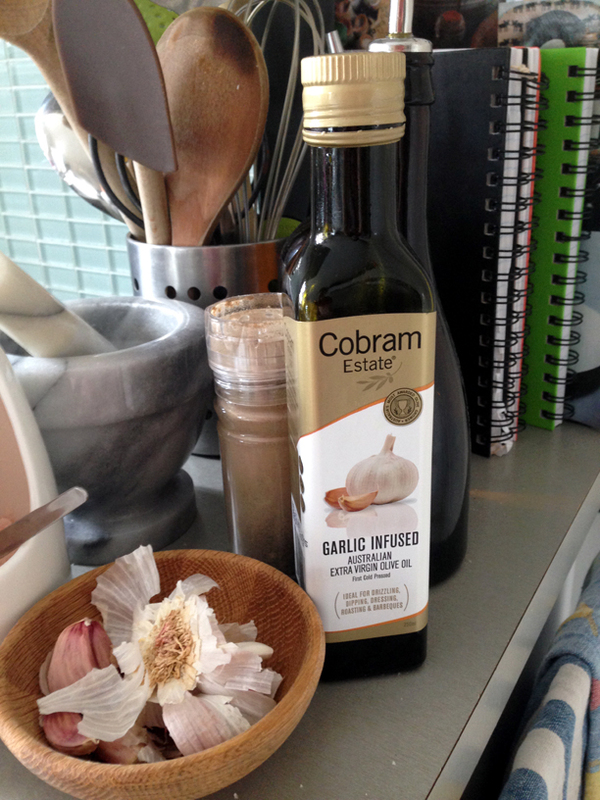 In my kitchen is a delicious bottle of garlic olive oil that a girlfriend visiting from Melbourne gave to us. I love drizzling this onto roast vegetables. In my kitchen is another platter that I found buried on a back shelf at target…a great bargain and fabulous for serving lots of different dishes like this Layered Vegetable and Haloumi Salad. In my kitchen is a pile of cookbooks I borrowed from the library on a whim. Some have been wonderful treasures that I would love to own, others pleasant to look through and I’m okay with handing back. 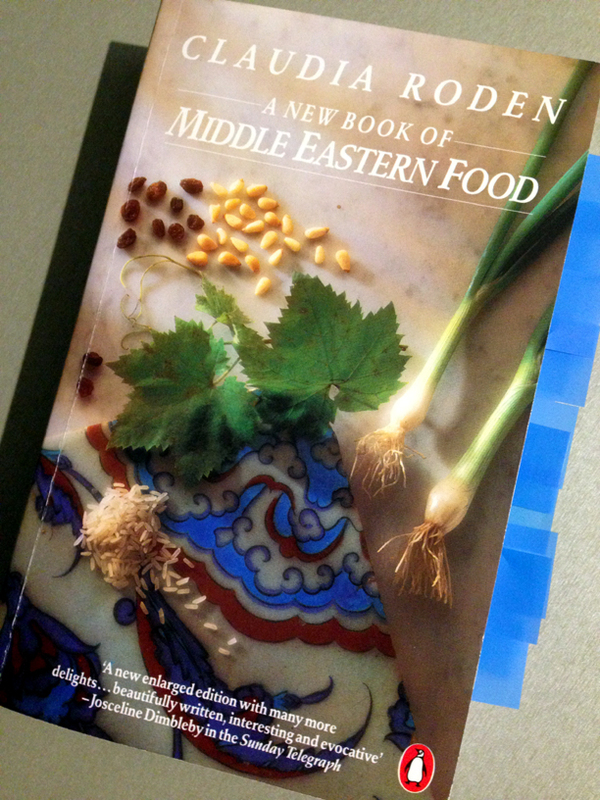 I think soon I may have to say In My Kitchen Library as yes, there are more books in my kitchen as I still have a large number of recipes that I want to try from Claudia Roden’s Book of Middle Eastern Food that we focussed on in April as part of The Cookbook Guru. Yup all those blue tags are recipes that I’m looking forward to making. If you haven’t already make sure you check out the beautiful food our members contributed from this book. And finally in my kitchen this month is a mess….time to get in there and create some order so that I can go back to creating delicious meals and scrumptious treats. Thank you to Celia at Fig Jam and Lime Cordial for creating and hosting this wonderful kitchen round up every month. If you loved seeing some of the things in my kitchen then make sure you check out all the wonderful posts offered by other foodies from all around the world. Have a wonderful May Everyone! Nice Turkish delight! I may have to give that a try because we can’t get any decent ones here. I once had a cinnamon TD in Aus and would love to recreate it. G’day! What a lovely kitchen view Leah, true! Love your photo of your layered Vegetable salad and who doesn’t love heaps of cookbooks for inspiration too! Every kitchen needs a library (so says the former librarian). I don’t know what I would do without mine. Love the Turkish delight and roasted veg salad. Oh, and if you cook, kitchens are messy, so don’t worry. Wow, you made Turkish delight? I’ve never been game to try. I do know that the ones we buy from Harkola have HEAPS of cornflour and icing sugar on them, almost too much for the confectionery to actually absorb. Lovely platter, what a great find, and I quite like that Jamie cookbook (it accompanies the tv show which I also really enjoyed). Hi Celia, I think you’d find Turkish Delight a cinch with your cooking skills. The main ingredient is honestly patience and then time 🙂 I didn’t mind flicking through Jamie Oliver’s book but like some of his others better. 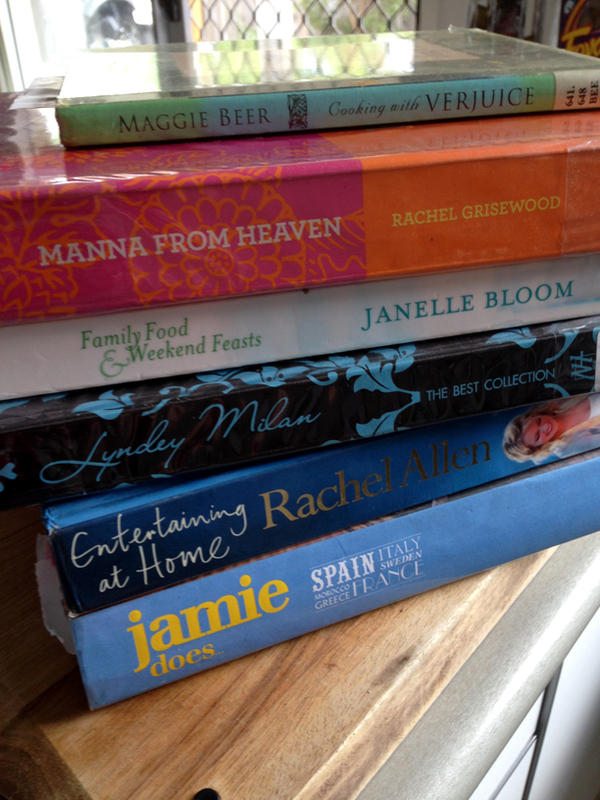 My favourites where cooking with Verjuice from Maggie Beer and also Manna From Heaven, a really beautiful book from a Sydney chef and foodie. Hi Leah, I am so pleased to hear that you also have a mess in your kitchen. Your good food ( and mine) doesn’t come from some sterile factory. Bring on the Mess and then pray for some kitchen fairies!!! Hi Leah, I’m definitely envious of your Turkish delight. I made some recently that flopped big time. I also have some infused Cobram olive oil and I really like it. Clever you making Turkish Delight – I love it. No tips to dry it though this week the air has been so dry in Brissie that I’m sure it’s helped. Love the photo of KG Sq in your sidebar. Cheers. I love Turkish Delight and your platter is exquisite. I wish we had a Target. Have a lovely day Leah. wELL DONE ON MAKING YOUR FIRST BATCH OF tURKISSH DELIGHT, I HOPE TO MAKE SOME SOME DAY. 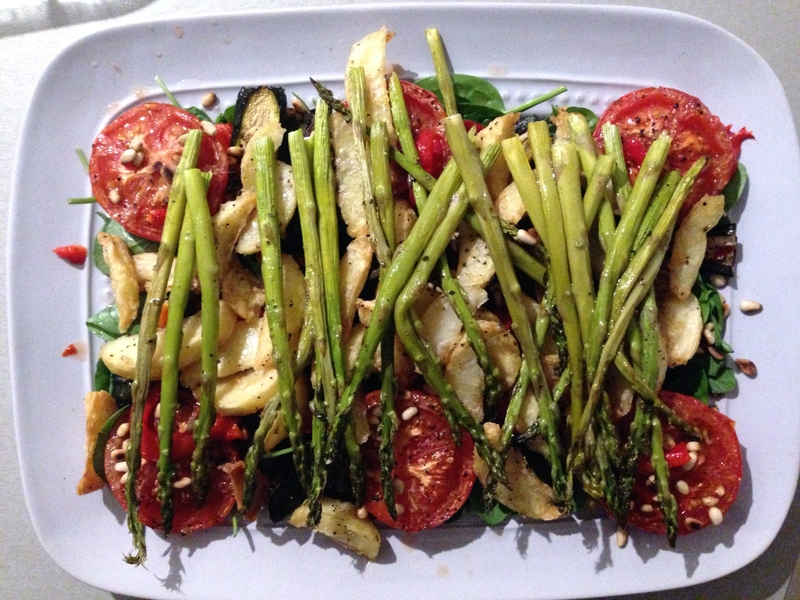 Leah, your garlic olive oil sounds so tasty, especially drizzled on your beautiful platter of roasted veggies! A friend of mine (trained at a culinary school) shared a hint on “how to make your own”… place peeled garlic cloves in a saucepan, cover with extra virgin olive oil, and simmer over low heat (watching carefully so they don’t “over-brown”) until golden. Remove the cloves to cool immediately… then store them in the garlic-infused oil…quasi-‘roasted’-garlic with garlic oil to boot! (Store all in the fridge in a tightly covered jar.) Such a flavorful post, thank you!